Engineers are the builders and designers of our technological and industrial future. Engineering is an exciting and varied field of study that opens many potential job opportunities, and skilled engineers are in high demand everywhere. Media also tends to give the field a few stereotypes, often focused on mechanics and machines. It is important for those considering engineering to understand the many other options within the field. Here are five uncommon directions for an engineering career that break free of the stereotypes. What happens when you combine an engineer and medical doctor? You get a biomedical engineer. While biomedical engineers are not doctors, they often have a great deal of health and patient care knowledge. Biomedical engineers are responsible for designing and building many of the advanced tools doctors use to treat patients. They build MRIs, specialised surgical machines, implants and many of the revolutionary technologies improving medicine today. Each city and town is a carefully designed system built to ensure the smooth flow of people and materials. The systems most people take for granted in their daily lives wouldn’t exist without the work of civil engineers. A civil engineer works with mayors and city councils to plan and develop civic infrastructure such as roadways, waste management and various other buildings. 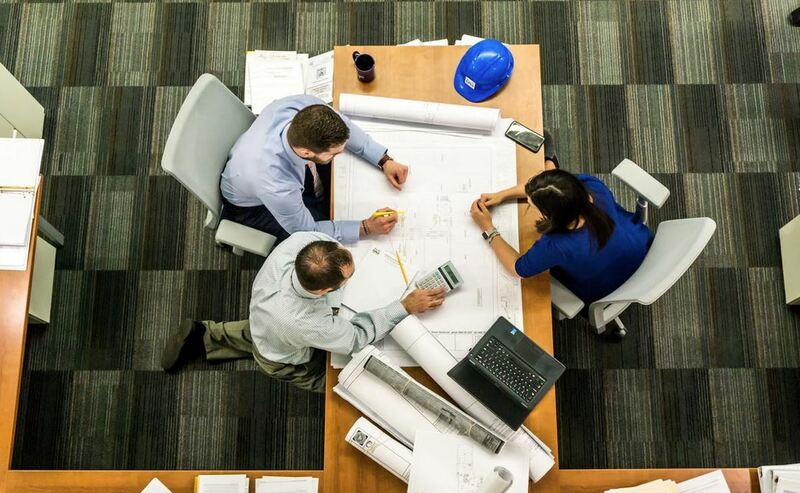 They often work on teams with other engineers, architects and construction specialists to ensure buildings are safe and compliant with building codes. If you have a passion for working on computers and designing hardware and software, then computer engineering may be for you. Most engineers will specialise in either the hardware, the physical parts of the computer, or the software, the programs the computer runs. The average salary in the U.K. is currently showing as £35,000 whereas in the U.S. the average salary of a software engineer is currently $100,000. As computer technology advances and we become ever more reliant on computers, this field is in constant high demand. Maybe you were more interested in chemistry than shop class, then a chemical engineering field may be just the thing for you. Chemical engineers study how different materials work together, often at the atomic level. They are usually employed in research-related fields, working to develop new materials for all sorts of industries and applications. This field is increasingly focused on the small as we push the boundaries of nanotechnology, microelectronics and energy storage. Maybe you have more of a green thumb. You can easily combine that love of nature with engineering skills. Environmental engineers apply engineering principles to the natural environment with the aim to protect and preserve it. This often includes pollution management, eco-friendly pipe fabrication, studying air and water quality, studying and preserving animal habitats and investigating the impact of environmental laws on the actual environment. Engineering is a more diverse field than most people realise. In fact, engineers are everywhere, and they are a vital part of our world. Many of the systems and designs we take for granted wouldn’t exist without engineers. They are often the big picture thinkers, studying systems and designs and how various parts work together. As technology advances, engineers are often on the cutting edge of the latest developments. It is an exciting time to enter this profession. Extra Reading: This guide looks at the many different types of engineers. Do you have more ideas on directions for an engineering career? Let us know in the comments below. Dixie is a freelance writer who loves to write for business, finance, women’s interests, and education. Dixie lives in Arizona with her husband and three beautiful daughters who are the inspiration for her writing.